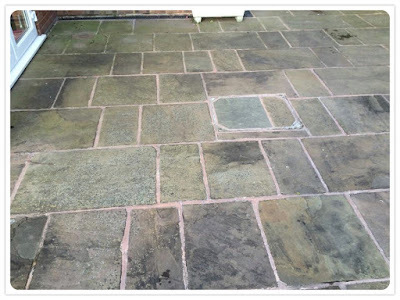 due to weathering, BBQ staining, algae and even bird droppings, making your patio look old very quickly. 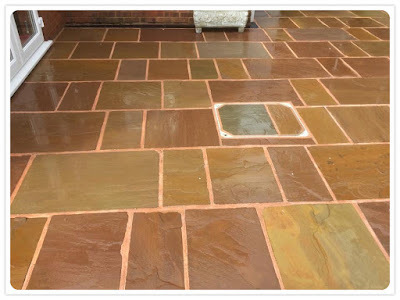 The beauty of sealing is clear to see and will help keep up the appearance and enhance the colours of your stone and help protect from algae, weathering and staining. 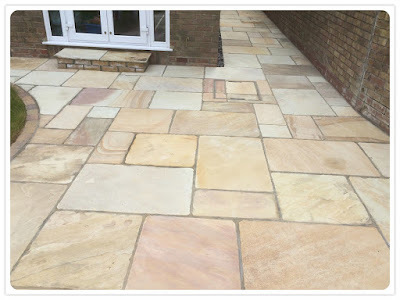 Indian Sandstone and other forms of natural stone are beautiful hard landscaping mediums. 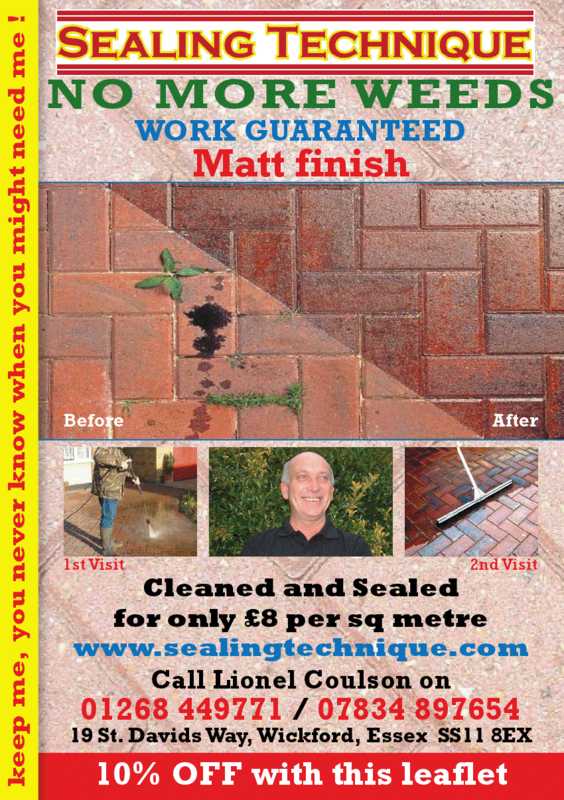 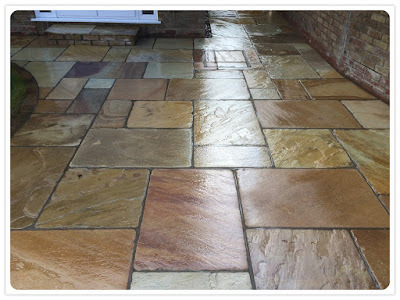 As with all external paving this investment can be protected. 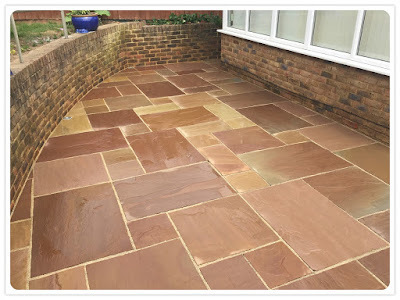 Resiblock Indian Sandstone Sealer is suitable for application to most forms of natural stone providing long lasting protection up to 5 years. 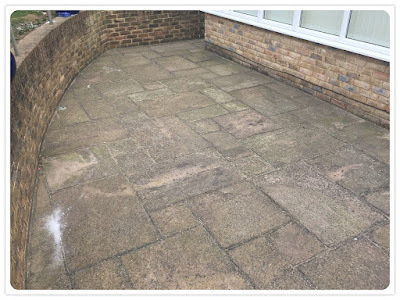 Please take a look at a few of the before and after photo's we have taken.